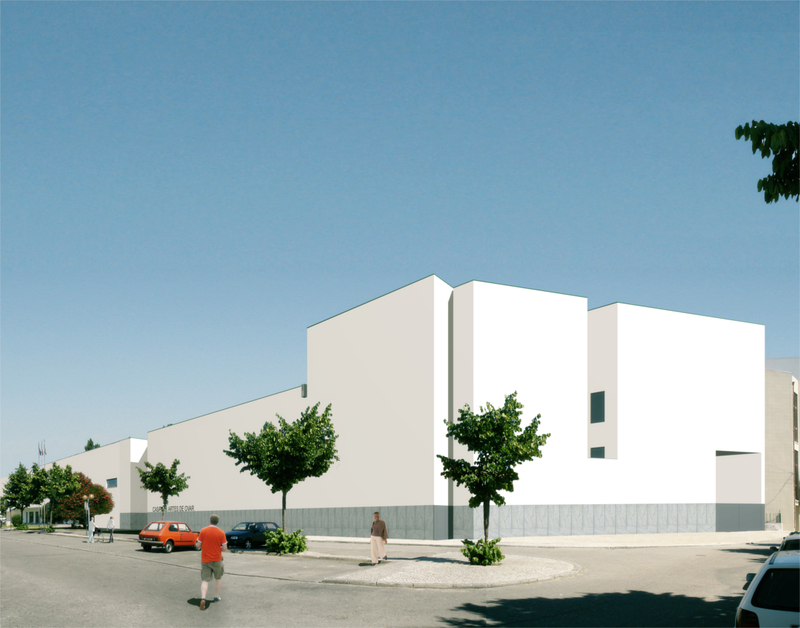 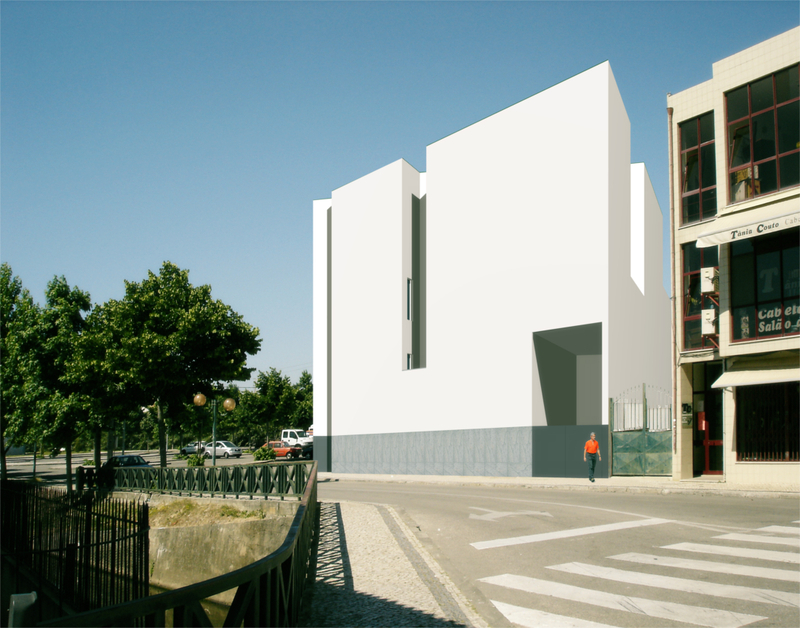 We were asked to design a cultural centre or Modern Arts House in Ovar, Portugal. 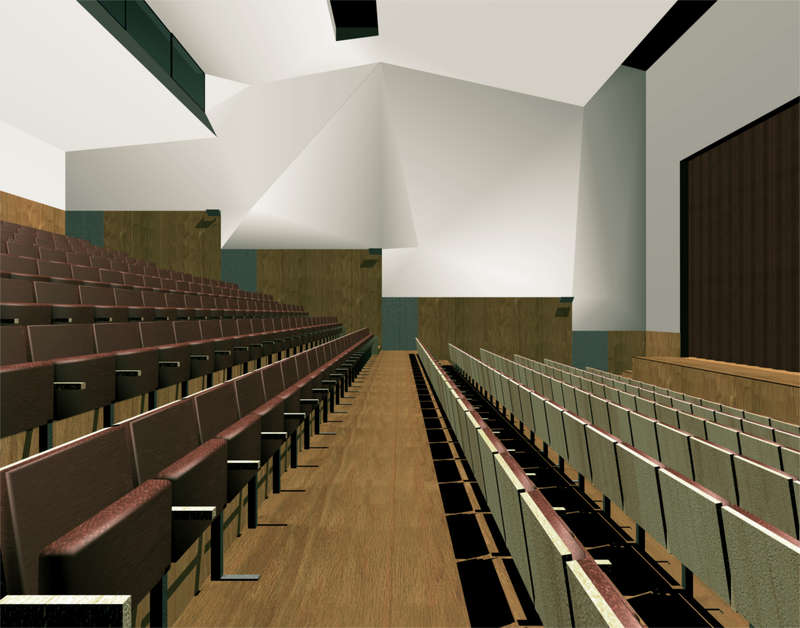 The programme was focused on a large auditorium near the town library. 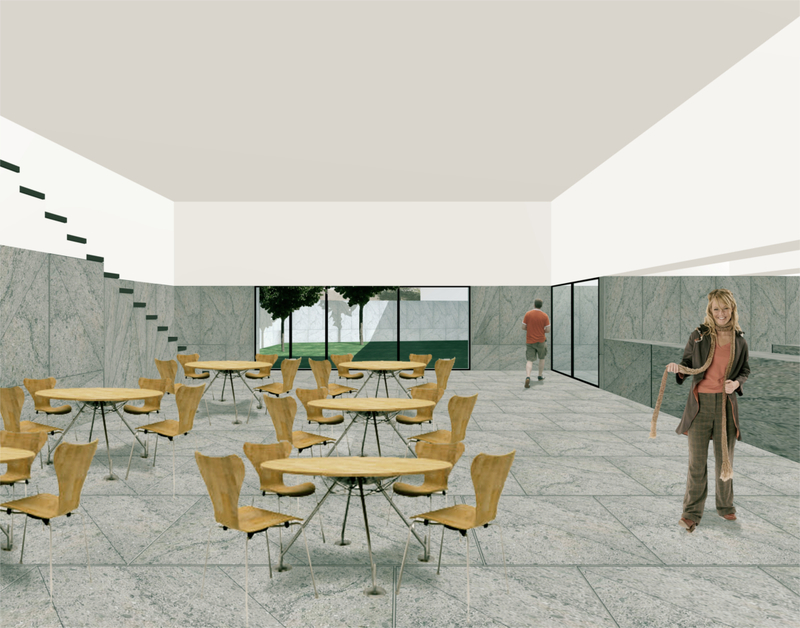 The respect for the existing adjacent building and the features of the program determined our answer. 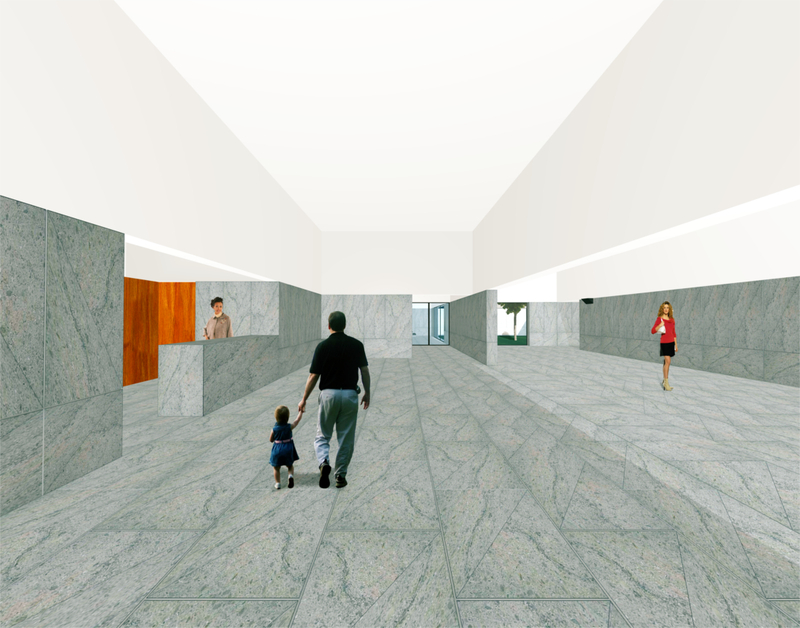 The form became a sculpture in which holes are dug to make light entries and secondary and primary entrances. 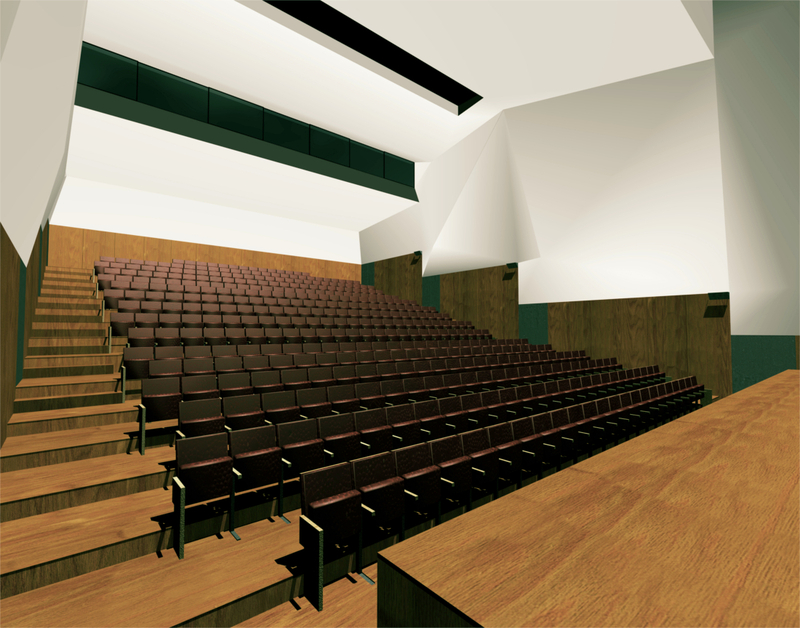 A big sculpture is born from this dialogue between the context and the auditorium needs.